Many of the world’s best independent schools require applicants to take the Secondary School Admission Test (SSAT) in order to measure their skills and likelihood of academic success. That’s why the SSAT score is so important. For students planning to take the SSAT, there’s no better preparation than tutoring from Grade Potential. Most students won’t perform as well as they could on the SSAT without proper preparation. Grade Potential provides highly personalized, one-on-one tutoring for each student—and on your timetable and at your location. Through customized tutoring and help, we’re able to set students up for better results on their SSAT. 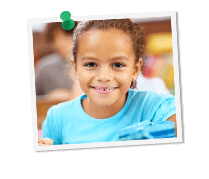 At Grade Potential, our expert tutors understand both the questions that are on the SSAT and the best test-taking strategies for preparing to excel. They work with students individually to identify the best ways to go to test day confident and prepared.